Dr. Parichart Suwanbubbha is an assistant professor at the Development and Religion Graduate Study Program, Humanities Department, Faculty of Social Sciences and Humanities, of Mahidol University in Salaya, Nakornpathom, Thailand. She studied Systematic Theology at Lutheran School of Theology at Chicago, and AMRS at University of Chicago. She has been working at Mahidol and teaches about Christianity, Dialogue and Ethics. She also serves as the Director of The Institute of Human Rights and Peace Studies. Here Dr. Parichart conducts dialogue for groups of military personnel, religious leaders, villagers both Buddhist and Muslim, and also including women and children from the 3 provinces of deep southern Thailand. These areas are encountering violent situations. Her work also focuses on reducing violence in the juvenile center of Hatyai, Songkla where the violence situation has been increasing. Dialogue which includes deep listening is a very important tool for conflict transformation and peace building. She then connects her dialogue work with the Contemplative Education Center, a new program of Mahidol University. Through the integration of these three approaches, it is possible achieve outer work and inner work with students and children in the schools and juvenile centers. The process of dialogue is conplemented with exercises in spiritual practice through participatory based-learning. Through these activities and deep listening, children begin to develop the inner value of peace by heart, head and hand. 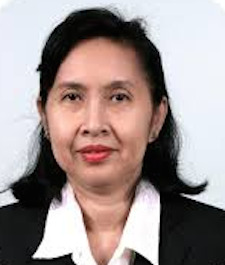 She is also the secretary of Religions for Peace, of the Interreligious Council of Thailand. This organization engages interreligious leaders and actors in the peace-building process. At the same time, she is a board member of Globethics.net Foundation, of Switzerland which promotes a world-wide digital library for continuous learning. Recently, she has served as a steering committee of ‘A Child Rights Approach for Faith Community Life.’ Therefore, she expects to contribute to and learn from her new involvement with the ‘Interfaith Council on Ethics Education for Children,’ of Arigatou International. Dr. Parichart Suwanbubbha is also the author of “แม่ชีกับภารกิจทางการศึกษาในประเทศไทย a book published by the Office of National Education on the need for 8-precept white-robed nuns to have access to higher education and an improved role and status.